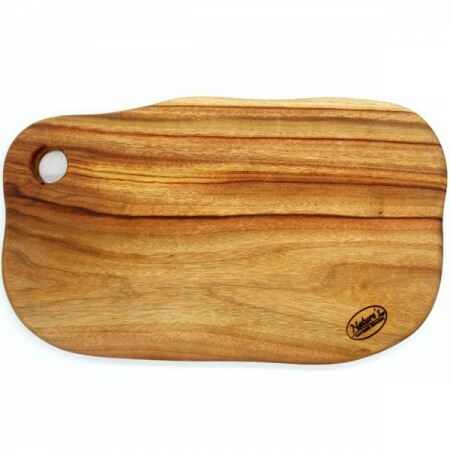 A great family size multi purpose wooden cutting board made from salvaged Camphor Laurel timber. Approx. 40cm x 25cm. Buying this product = 70 Reward points for Members. Your cart will total 70 points = voucher of $3.50. Not a Member? Join at checkout to claim these points. 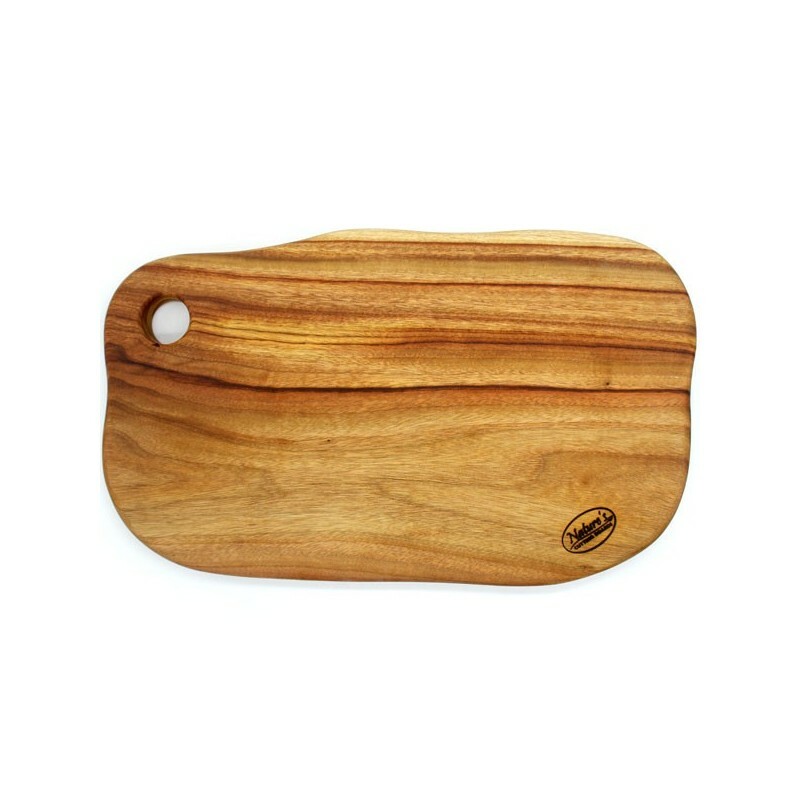 A great family size multi purpose cutting board made from salvaged Camphor Laurel timber. A great presentation board for the table centre. Camphor Laurel is recognized as a serious environmental weed species in Australia and control programs advocate integrated removal and replacement with Native trees. By utilizing this ethically acceptable timber we contribute to the environment in a positive way. More hygienic when compared to plastic, pine and even glass cutting boards. Made by an environmentally-conscious family-owned business. This product was selected as a ‘finalist’ in the Australian Memento Awards 2006 and gained sponsorship from Australian Made. The boards are ready to use. After use simply rinse off with water and detergent and then let your board completely air dry before storing. Do not leave your board soaking in water. Do not bleach the board as this will destroy the natural antibacterial property in the timber. Do not put boards in dishwasher or very hot water. Re-oil with Grapeseed oil every few months or when timber appears dry. Every board is unique and yours will not look exactly like the one shown. I really enjoy using this chopping board! It also has a nice scent to it. It's very thick and cleans easily. One downside: the sizing, it's a bit too narrow sometimes when chopping wider pieces, but I underestamated the measurements before buying. (typical me) This is our daily go to kitchen item. Very satisfied customer here! Large area a good size for chopping quite substantial quantities of food. Board is well-made, smooth, quite thick and sturdy. Can be a little heavy when fully laden, but the handle (hole) helps with maintaining a hold on the board. Mine has not developed any mould; it's been used very regularly for at least a couple of years. Good to know that camphor laurel is put to useful purpose.